What is the weather like in October in New Zealand? 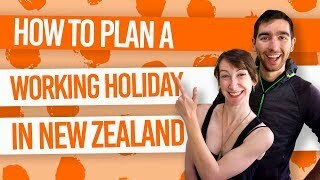 Travelling New Zealand in October? You’ll want to know what the New Zealand weather is like in October so you can plan your activities and pack accordingly! In this quick guide to the weather in October, we’ll go over the typical temperatures in each area of New Zealand, as well as other weather patterns. Plus, check out some of the best places to visit and some extra packing tips for October. October is an awesome time to visit New Zealand as it is considered one of the “shoulder seasons” meaning there are less people visiting New Zealand during this time. 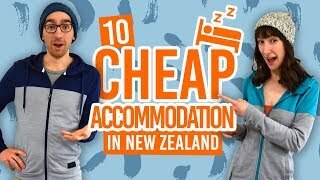 In turn, the country feels less crowded (not that New Zealand ever feels “crowded”) and some activity, transport and accommodation costs may be cheaper than in summer. What’s more, October is mid-spring in New Zealand so you’ll experience mild comfortable weather. Here’s a few handy tips so you’re ready to travel New Zealand in October! Make sure your day pack always has a rain jacket and an extra warm layer in there for those unpredictable mid-spring days. Be aware that some walks that cross farmland may be closed for the lambing season. Check for updates on your chosen walk on the Department of Conservation website. If you are visiting New Zealand on a working holiday visa, look out for more WWOOF opportunities during the busy farming season. Make sure you slap on some sunscreen, even on cloudy days. The UV rays are intense in New Zealand due to the hole in the Ozone layer above New Zealand. October is the shoulder season in New Zealand meaning less tourists. That way you don’t need to book transport, activities and accommodation too far in advance. New Zealand experiences slightly different climates around the country so depending on where you are visiting can vastly change your weather experience. With that in mind, here are some average temperatures experienced in October in every New Zealand location. October is a mixed bag when it comes to weather. While the temperature is typically mild, be prepared for a variety of weather: rain, sun and wind. Some of the strongest winds in New Zealand have been recorded in October. The different climates in each area of New Zealand determines how much rainfall is experienced each month. Take a look at the average rainfall in October at the locations you are visiting. For the best places to see spring happening all around you with an abundance of wildlife and blossoming flowers, check out these locations in New Zealand during October! Christchurch – Otherwise known as the “Garden City”, Christchurch should definitely be on your itinerary for October. Stewart Island – The New Zealand birds become a lot more active in spring. Visit Stewart Island’s bird sanctuary on Ulva Island and be enchanted! Hamilton – Visit the Hamilton Gardens, the country’s most award-winning garden. Tongariro National Park – October is the perfect time to do the Tongariro Crossing while the snow is clearing up making it safe to hike alone, plus, it’s before the busy tourist season starts! Fiordland National Park – The shoulder season and mild weather makes a great time to hit the popular hiking trails and see Milford Sound. For October events you can’t miss, see New Zealand in October. 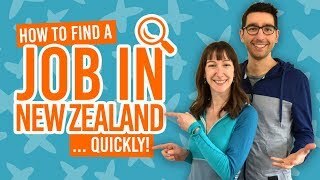 Here are a few extra things to pack specifically if you are visiting New Zealand in October. For more things to pack, check out The Ultimate Packing List for an Extended Trip in New Zealand.